As a follow up to my last post ,my stepdaughter and I are continuing the driving lessons. The more she drives ,the better she gets. She has started to conquer the main roads and highways with some reservations but improving each time. This can be compared to being a stepmom or should I say learning to be a stepmom. The more you "practice" ,the better you become.The more you do together and get to know each other, the better you are at being a stepmom. When you begin to drive down the roads of life with them, it is on this long journey that you will experience many twist, turns and detours. You will also experience many joys, triumphs and accomplishments. Being a stepmom also comes with some reservations at times-wondering if you are doing things the "right way" at the "right time". Sometimes as a stepmom you feel as though you don't quite measure up to some of the worlds expectations. 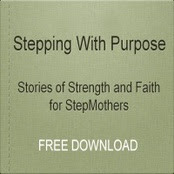 I continually look to my Heavenly Father for wisdom, guidance and strenghth to be a godly stepmom. Without him, I would drive down many dead end roads of life.I want to conquer the many highways of life with My God as the driver.AMEN! !